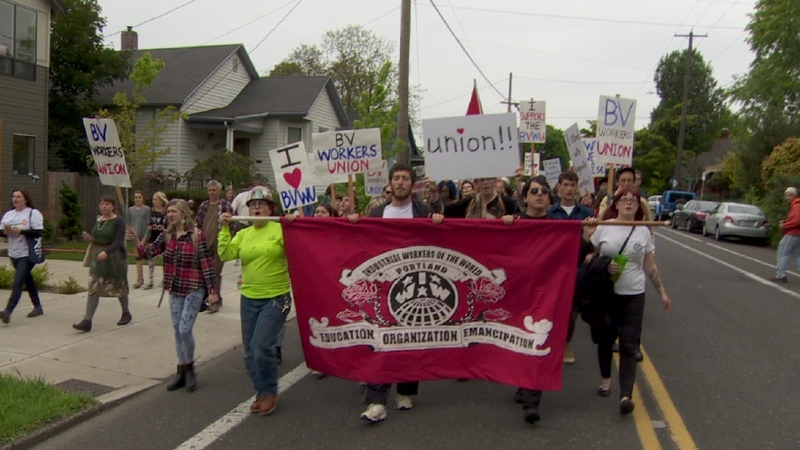 Six months ago, fast food workers at the Portland area based chain Burgerville announced that they had formed a local affiliated with the radical anti-capitalist union the Industrial Workers of the World (IWW). They didn’t file for union elections, but instead launched an extensive campaign based around building up community solidarity and support for the union as they pressed for changes on the job and a $5 raise for all workers. Following the announcement, the company reacted by coming down on perceived leaders and attempted to fire several employees. 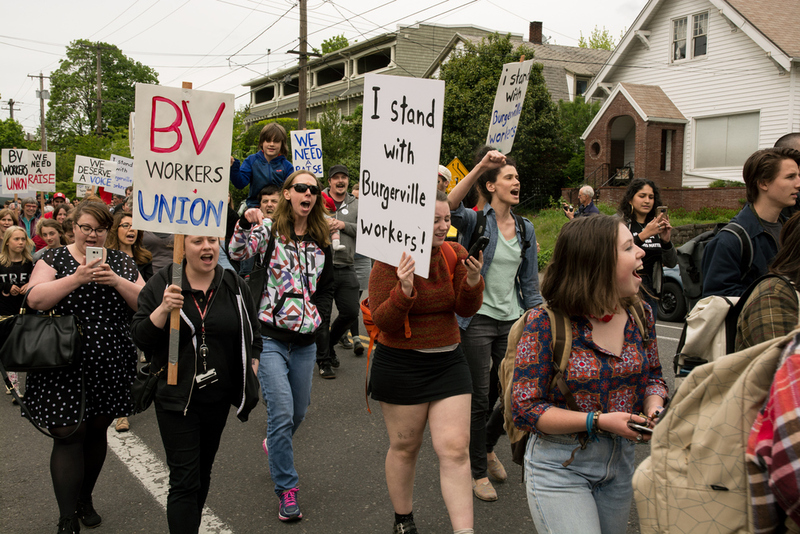 Over the next six months, the Burgerville Workers Union grew into more stores and carried out a string of actions as support within the community grew. In this episode of the IGDCAST, we talk with two members of the BWU and discuss how the union came about and how the group spread. We then talk about how organizers got more and more workers on their side and dealt with snitches and fence sitters. Burgerville workers then discussed the ways in which management attempted to repress their organizing and how the union dealt with these firings and harassment. Moreover, we talk about the nuts and bolts of workplace organizing, building a culture of resistance and support within the union, and the ways in which the BWU method of organization flies in the face of bureaucratic and top-down models offered up by the big business unions. As one of the workers interviewed explains, the BWU is not after contracts or recognition from the state, but instead interested in forming an ever growing horizontal organization of workers that come together to take action to further their interests and fight. Reaching outside of the workplace, the task of building bonds of solidarity within the local community also draws inspiration from current and past organizing drives such as Solidarity Networks and the South Street Workers Union, as well as past fast-food campaigns at Starbucks and Jimmy Johns. 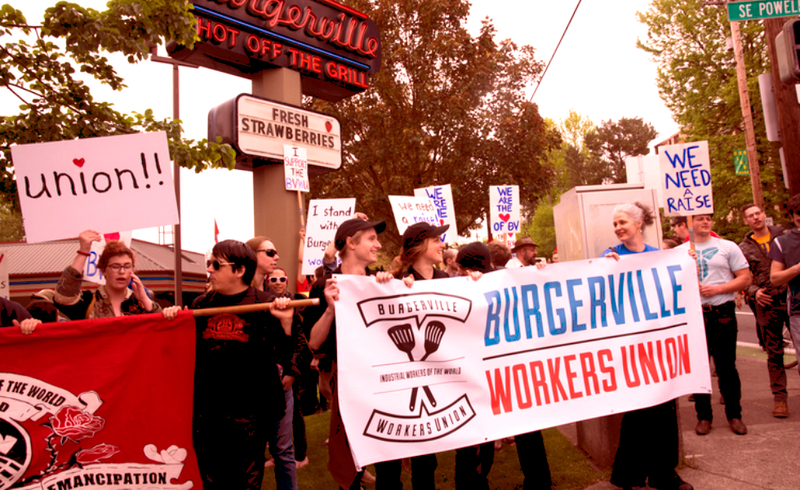 From inventive social media, to marches that shut down stores, to their use of building solidarity among outside community groups, the Burgerville Workers Union offers many lessons to anyone that is forced to work for a wage, regardless of it you’ve ever worked in fast food, with some concrete suggestions on what to do about it. 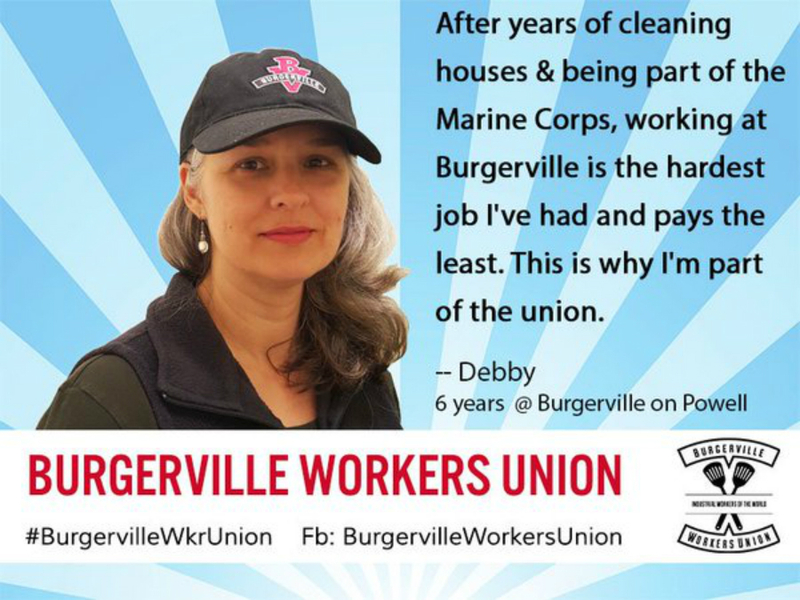 More info on Burgerville Workers Union here and here. Check out their podcast with IGD here!